Recently, i've been craving warm & hearty foods. After Christmas i wanted to get back to cooking healthy dishes to start the new year. 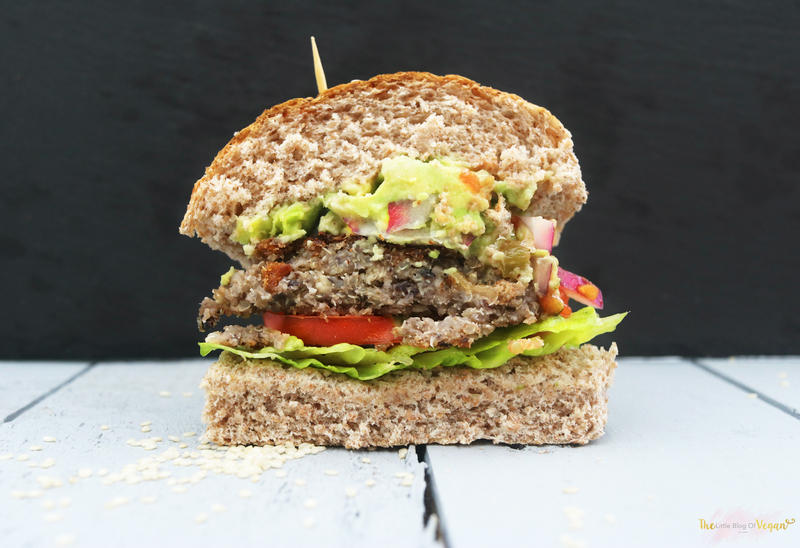 I wanted to re-create the Homemade Burger Co. Veg Mex burger as i am a huge fan of that burger. Yum!!! 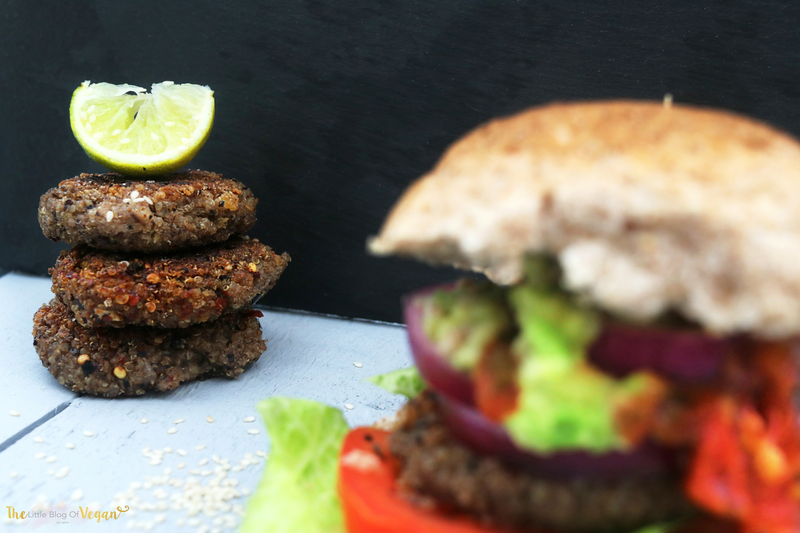 I have created a delicious Mexican style, protein packed quinoa & black bean burger which is full of nutrients & goodness, topped off with my delicious, homemade guacamole. 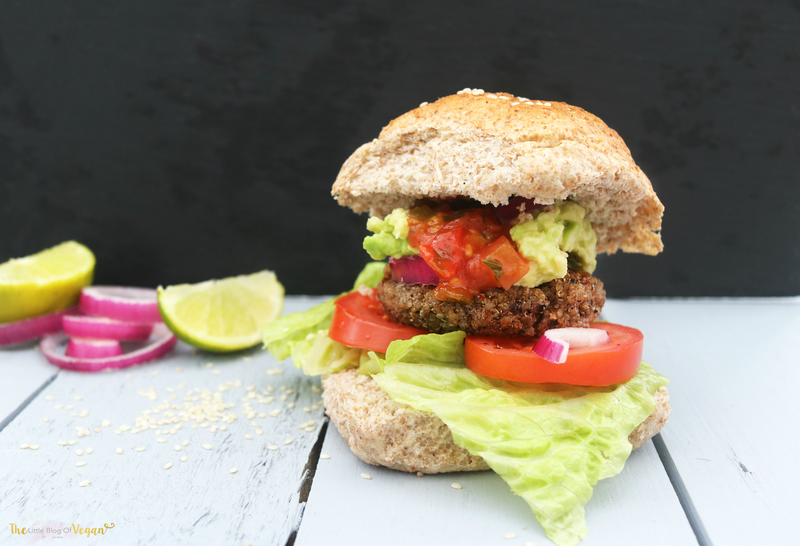 These burgers are healthy, 100% vegan, gluten-free and easy to make, paired with guacamole, salsa and salad, are extremely tasty and filling. Perfect for summer BBQ's or to enjoy on a cool, winters night! Step 1- Wash & drain the quinoa and place into a large saucepan with a good amount of water. 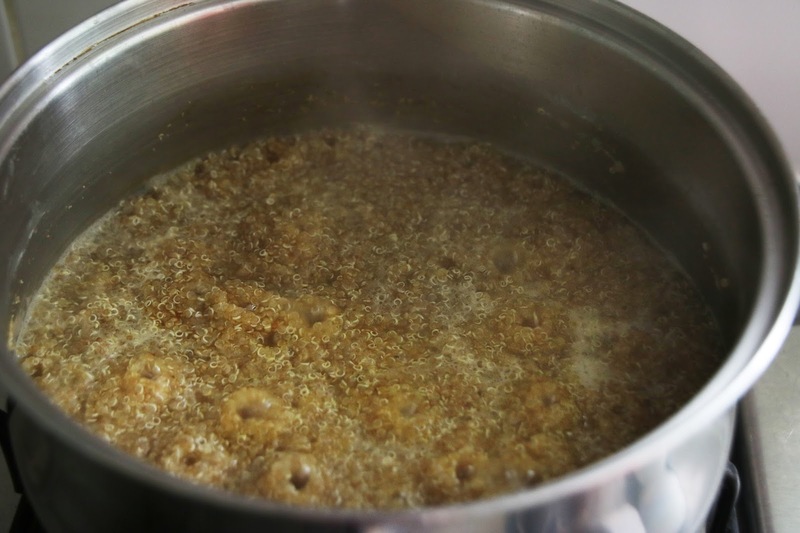 Bring to the boil and then simmer for around 20 minutes, until the quinoa is clear and cooked then drain fully. 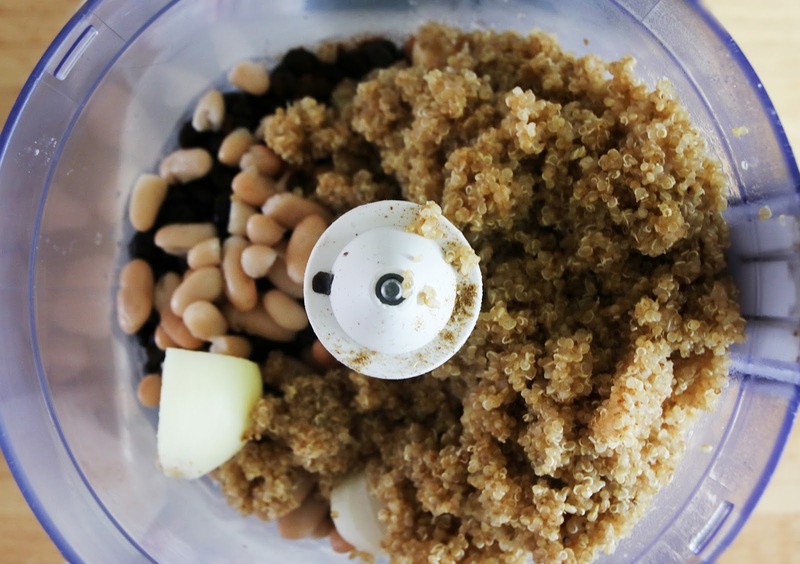 Step 2- Place all ingredients into a food processor and whizz up. Leave a little chunky for texture. Step 3- Place the burger mixture into a bowl and pop into the fridge for 25 minutes. 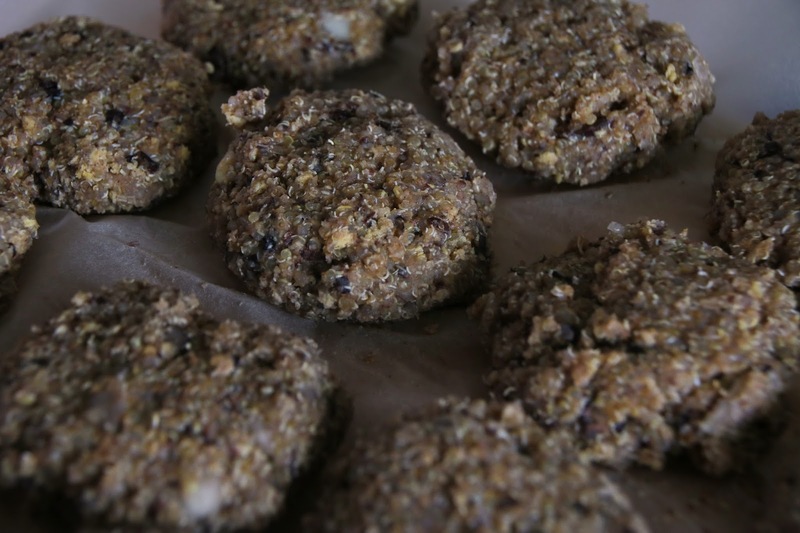 Step 4- Form the mixture into burgers and place onto baking paper. 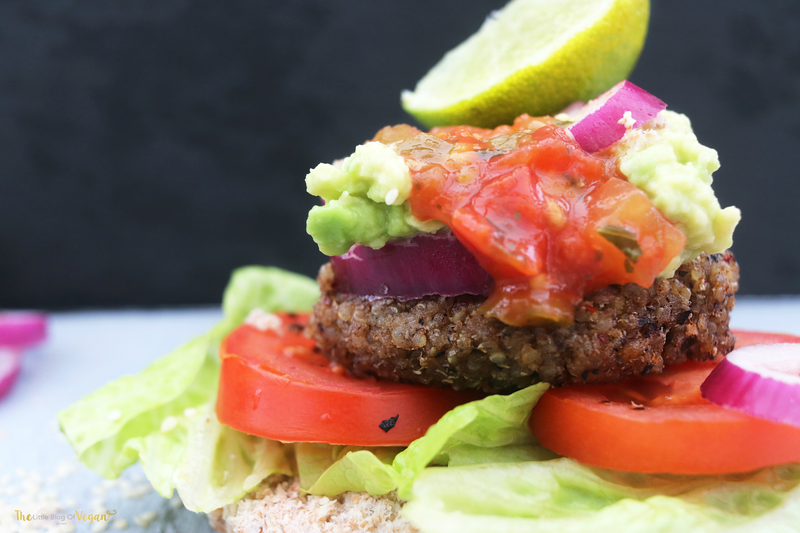 Pop the burgers back into the fridge for 10 more minutes. Step 5- Coat a large wok/ pan with a drizzle of light oil and heat on low. Step 6- Cook the burgers 5-8 minutes on each side until brown & crispy. Serving option: Serve whilst hot with homemade chips and salad. 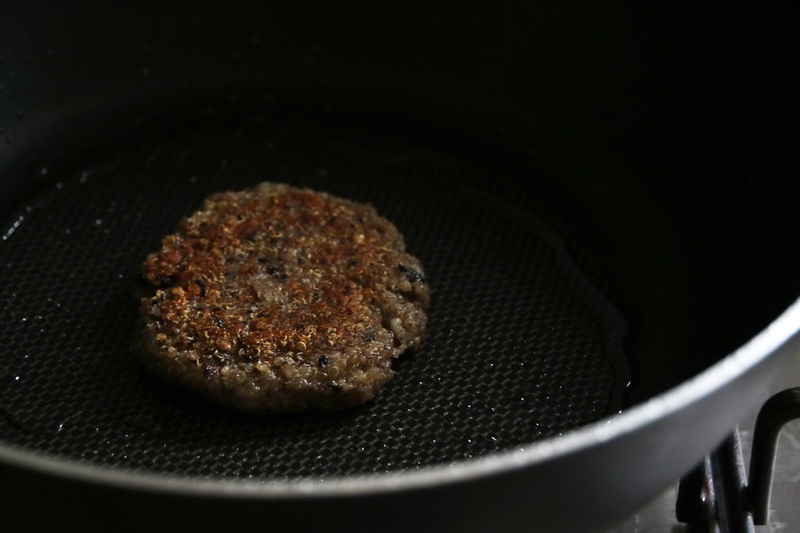 You can freeze the burgers in a sealed container for later use, but defrost fully before cooking.